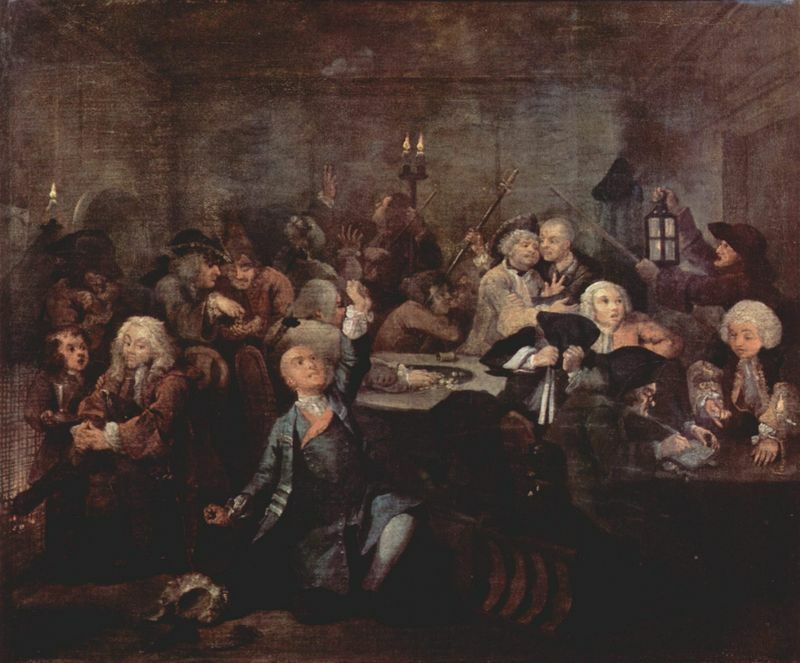 In A Rake's Progress Hogarth depicts the story of Tom Rakewell, a young man who inherits money from his late father and squanders it on expensive clothes, prostitutes and gambling. Although Tom is not portrayed as an evil character, he is certainly out of his depth, thrown into a life trying to emulate the aristocracy without the knowledge or the funds to sustain it. 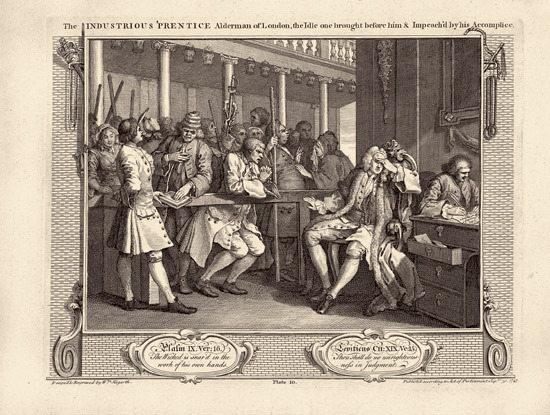 Over eight plates Hogarth illustrates the life of Tom Rakewell; after losing his father and his fortune, he indulging in orgies and drunkenly cavorting with prostitutes. Having squandered his fortune Tom is forced to marry an older, wealthy woman in order to pay his debts. However, his attention is directed at the maid rather than his new wife. He then loses his second fortune and is sent to the debtor's jail and eventually ends up in the notorious Bedlam Hospital for the insane which is full of a range of characters. Tom is comforted by the ever present Sarah Young, the maid he so greatly admires. 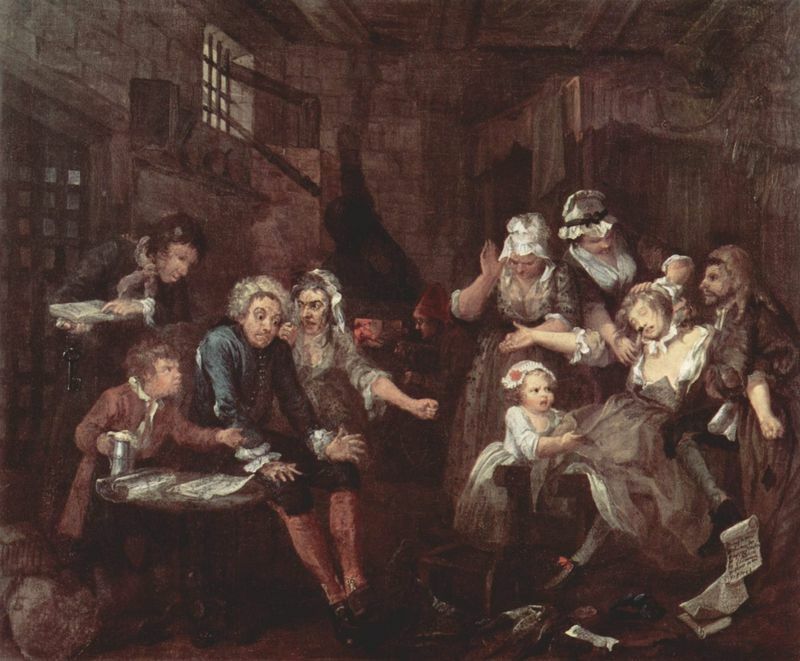 Hogarth's father was detained in Fleet debtor's prison for most of his childhood. Although the artist never talked about this in any of his biographical writings it must have had a profound effect on him. Certainly the conditions which Tom Rakewell found himself in must have been very similar to that of Hogarth's father. Bedlam was an infamous mental hospital in the 18th century and was open for viewing by the public for a small fee. Run by the infamous Baron Henry Brougham, there were many accounts of inmates being badly treated and abused. Hogarth's use of this setting reflects the 18th century view that madness was a result of moral weakness. The social scandals of the day can only have been inspirations for this satirical attack on the upper classes. Wealthy young men were often seen frequenting the drinking holes and brothels of London. 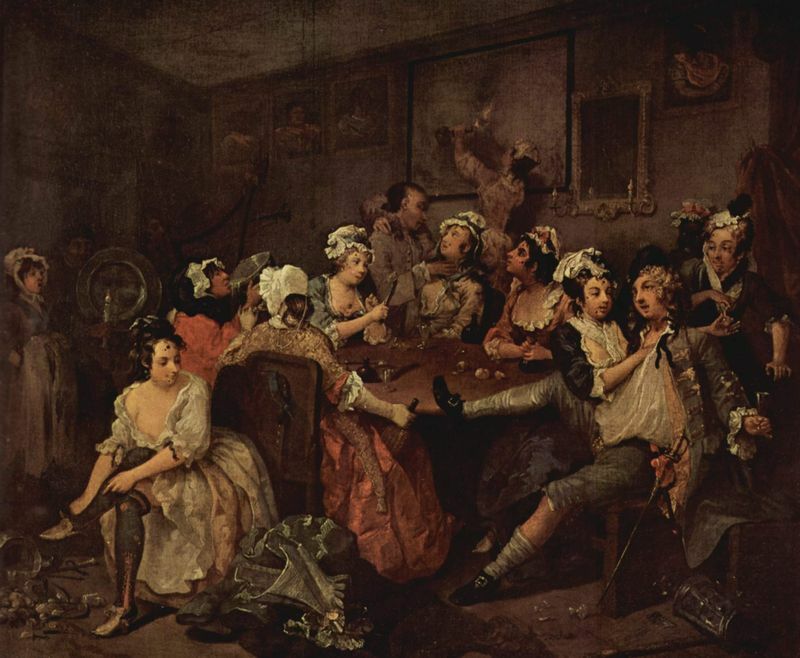 Gambling and drinking were so popular that it's very likely Hogarth had read about or knew men in similar positions. It was certainly very common for a poor young man to marry an older woman for her money. In all of Hogarth's paintings his strong moral code is very evident and he uses his work almost as an excuse to preach to society. A Presbyterian upbringing and strong moral standing meant that Hogarth was keen to use art as a way to shock the general public into action, concerning the vices and addictions that he felt were ruining English society. 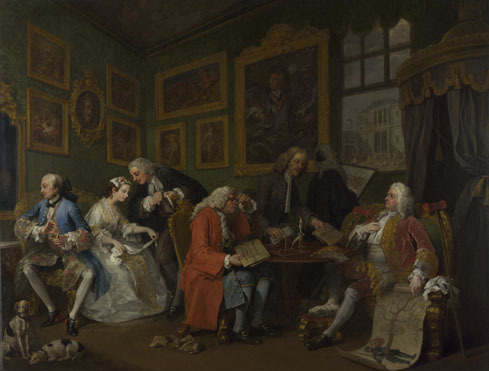 In A Rake's Progress Hogarth uses his theories on the analysis of beauty by including numerous characters within the scene and using symbolism to create an overcrowded composition in which the narrative is very clear. 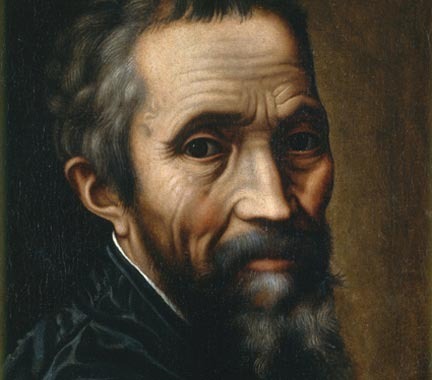 The artist also uses his serpentine curves and his lighting techniques highlight various characters and aspects, while lesser characters are in the shadowy parts of the painting. These works were later made into engravings and became publically available, being displayed in public buildings as well as private houses. Hogarth's style of painting is reminiscent to that of the Rococo fashion where loose lines and free hand movement dominate the work. A rich color palette is also used in bright and muted tones as Hogarth makes red his primary color to accentuate the characters in the smoky tavern and dingy buildings. 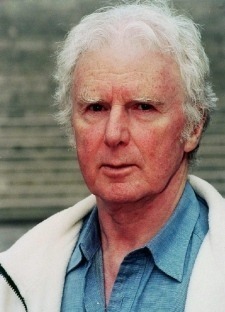 He uses many brown tones in these works and overall warm colors dominate, with numerous chiaroscuro techniques. 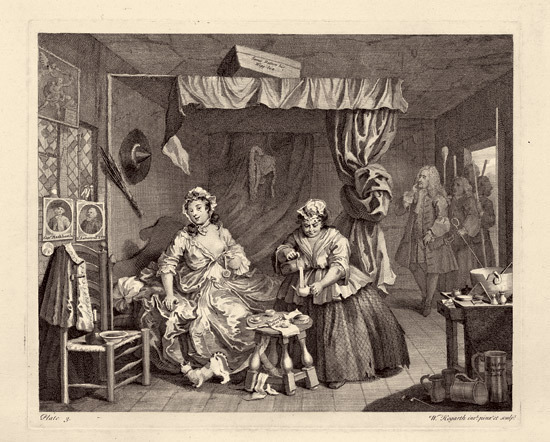 As with Hogarth's other moral and satirical works during this period, A Rake's Progress was generally well received by the public and critics alike. It's difficult to establish how many copies were sold due to the lack of records but the painting's good reputation and influence on the theatre and publications since then mean it's easy to assume that it was a success. In his book 'Hogarth and His times: Serious Comedy' Bindman says: 'The reputation of William Hogarth (1697-1764) rests largely on his pictorial stories, a series of engravings that he called 'modern Moral Subjects,'. 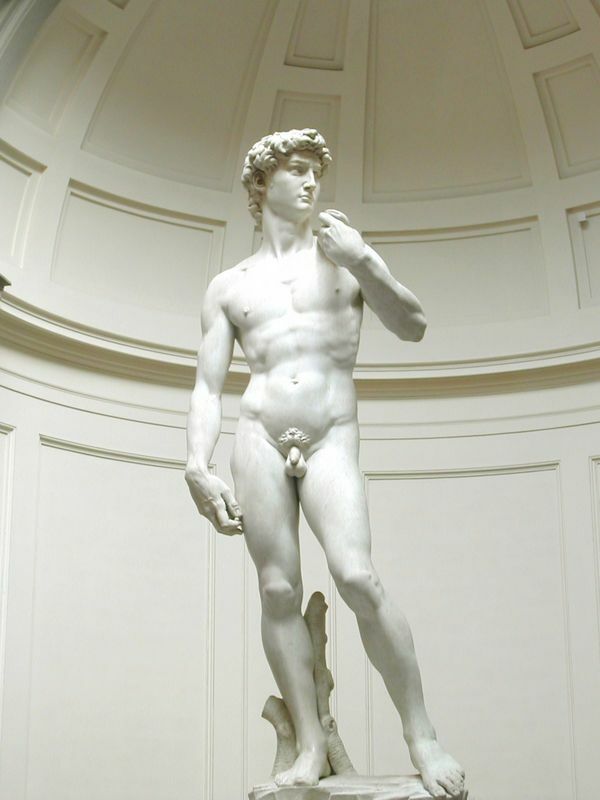 "... we grapple with the spirit of a man whose greatest innovation in the history of British art was immediate communication, telling and direct, with those who had in his day, and still in ours, no experience of art as art." 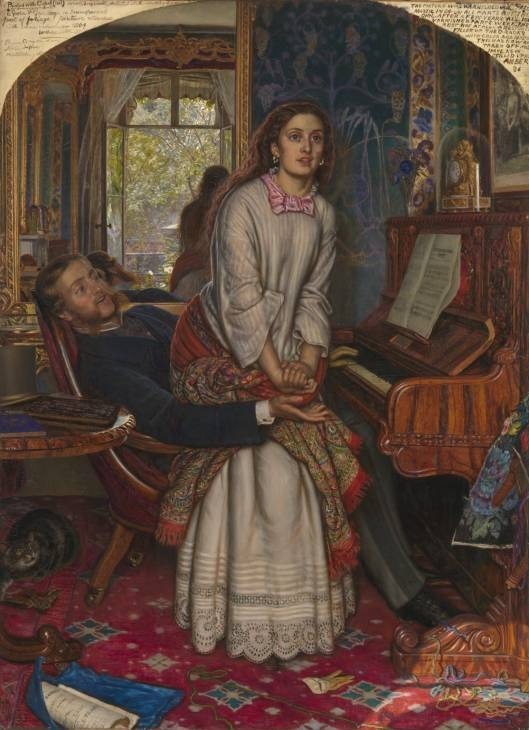 Hogarth's moral works certainly appealed to artists such as William Holman Hunt who admired his moral standing and portrayed similar themes in his paintings. 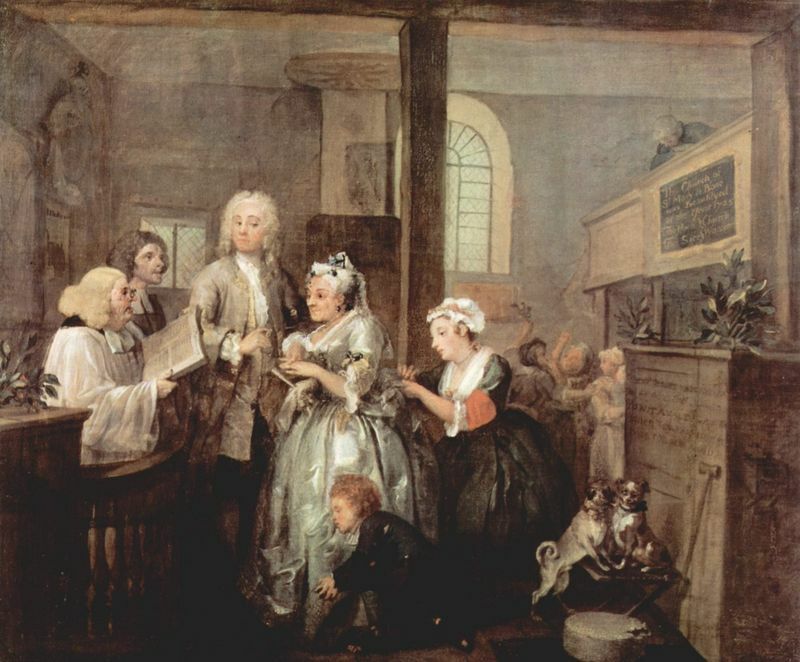 A Rake's Progress was one of Hogarth's first morality paintings and shows not only his venture into commercial art but also his strong morals. Also produced around this time were the following works, illustrating other social foibles of the day. 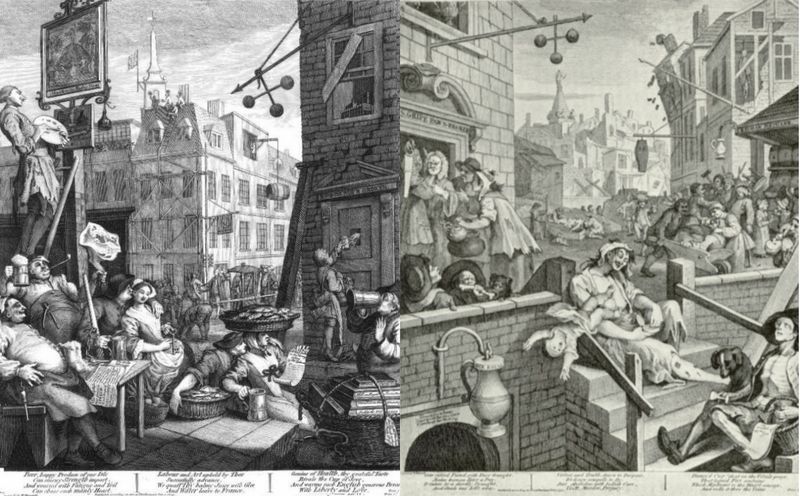 A series of six paintings, this was the first collection of engravings Hogarth produced. They were so successful that he followed them up with A Rake's Progress in 1935. These prints show the life of a young woman from the country who comes to London and eventually becomes a common prostitute. She dies aged just 23. In Marriage a la Mode Hogarth depicts an arranged marriage between a wealthy middle class girl and a poor aristocratic man. A common occurrence in 18th century London, Hogarth highlights the absurd nature of such meetings. 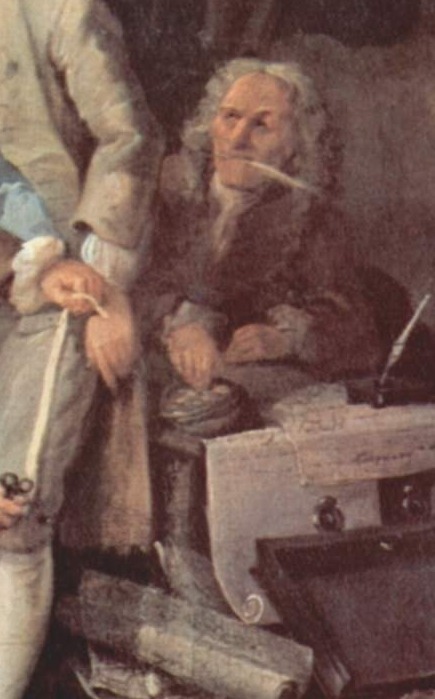 The lack of interest between the pair and the greedy disposal of money are highlighted by Hogarth as being morally corrupt. Produced later than A Rake's Progress, this series is darker and although still satirical, has a shocking quality to it which is not present in Hogarth's earlier offerings. These plates illustrate the story of two apprentices who start training at the same time; one works hard and lives a good life, the other works little and descends into a life of debt, prostitution and gambling. There were many copies of the prints of A Rake's Progress and although many of them have been lost or destroyed, numerous copies still exist in private collections and galleries. 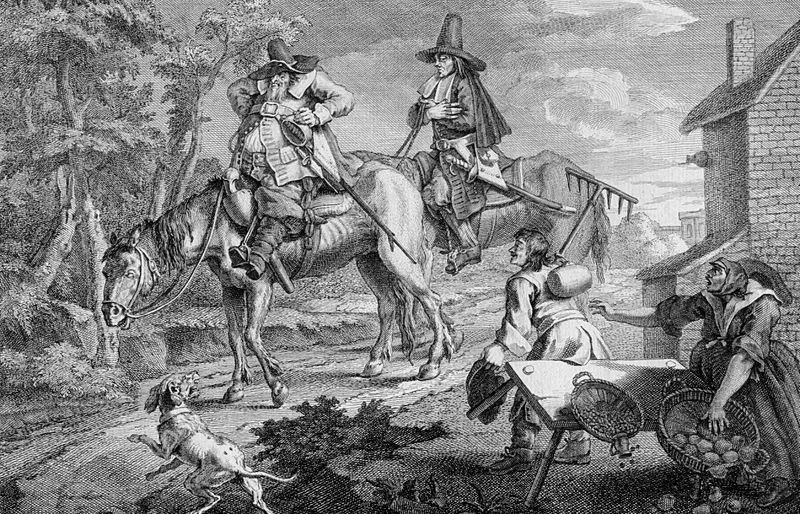 In an advertisement published in 1734 Hogarth invited anyone wishing to buy prints of A Rake's Progress to visit his studio in Leicester Fields to see the original paintings. 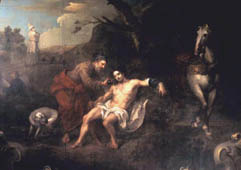 The original paintings for A Rake's Progress were sold to the Soane Museum in London in 1802 for 570 guineas. 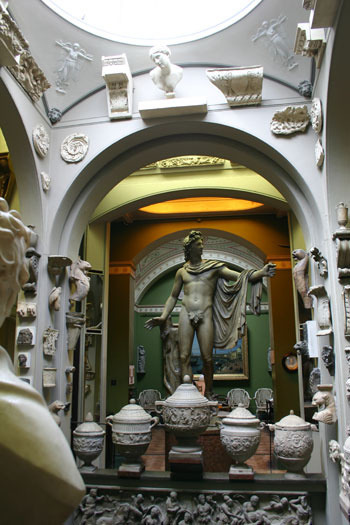 They were originally hung at the Soane family's country villa, Pitzhanger Manor, Ealing, but were moved back to London in 1810. 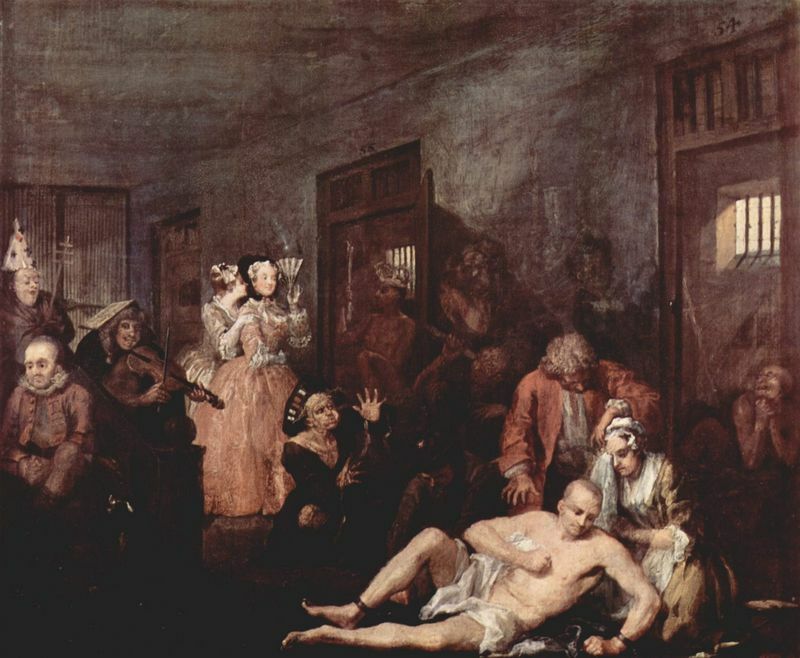 Hogarth produced A Rake's Progress in 1735 and the series was to be one of Hogarth first successes in the new genre of modern morality paintings. This set was created as male alternative to 'A Harlot's Progress' which Hogarth created a few years previously. It shows the deterioration of mankind when moral codes are abandoned and people give in to consumerism, a major problem for the upper classes of the 18th century. Rather than be influenced by many of the artists who had gone before him, Hogarth, a true innovator, tried to create a new school of English painting to rival the Old Masters of the Renaissance. In fact, rather than be influenced by their work it has been suggested that he often ridiculed them. Far from being a positive influence, this style of painting pushed Hogarth to produce work of a completely different genre. As one of the first British artists to be recognized throughout Europe, Hogarth became a major source of inspiration to other artists. During his lifetime artists and satirists such as John Collier emulated his satire and reflections of everyday life. 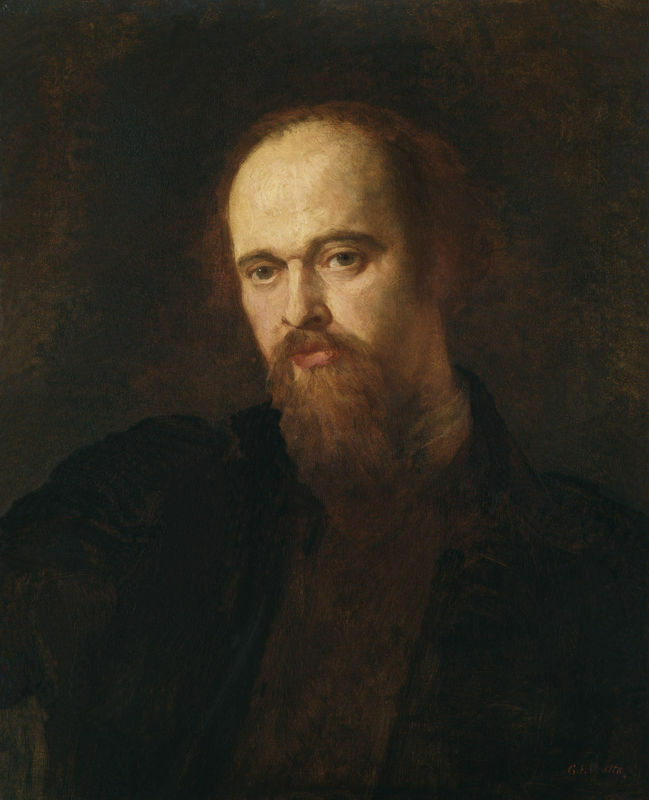 In the 19th century the Pre-Raphaelite brotherhood, whose members included Dante Gabriel Rossetti, was inspired by Hogarth's use of symbolism and text to convey a moral message. However it is possibly the biggest testament to the artist's skill and wit that the new medium of the comic strip arose from his work, a genre which is still popular today.